Pick up to 10 golfers within your "salary cap". 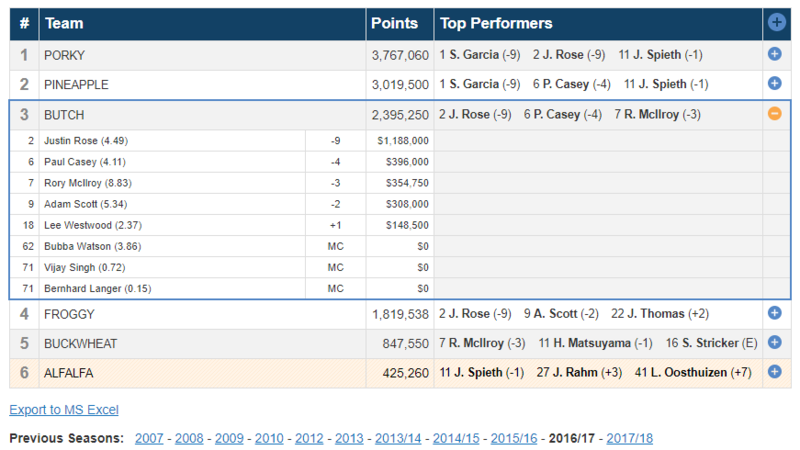 Player values are based on their Official World Golf Rating (OWGR) at the time of each tournament. The person whose team of golfers earns the most money for that tournament wins. Include just one tournament in your pool, all four majors, or all available tournaments... you have full control over your schedule. 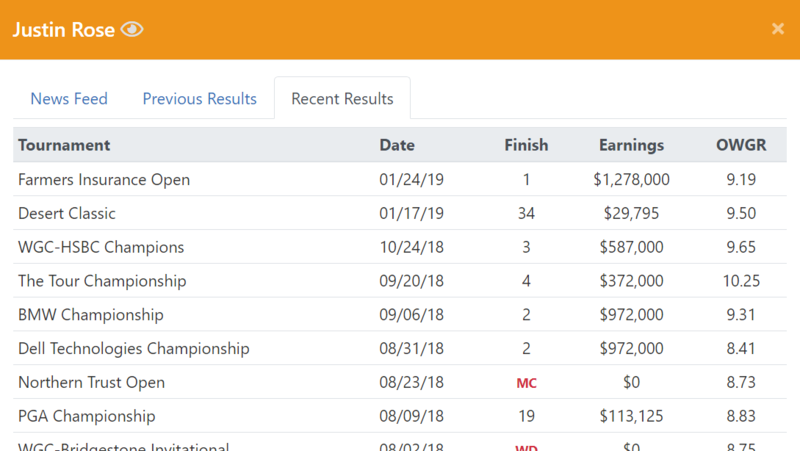 The standings pages show the points earned by each pool member as well as the results for each of their golfers. Projected standings are updated continually throughout the tournament based on current tournament leaderboard. 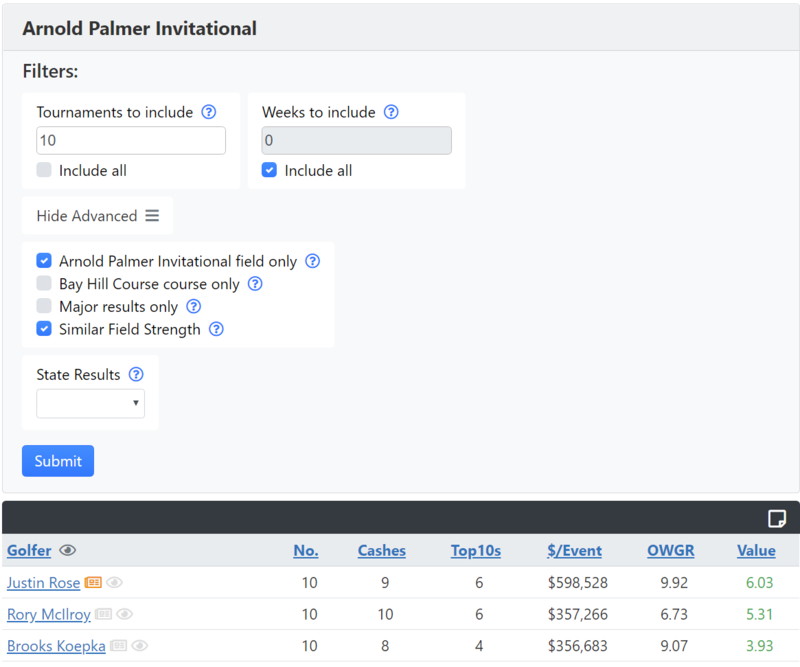 Customize your salary cap and the limit on the number of golfers you can pick. 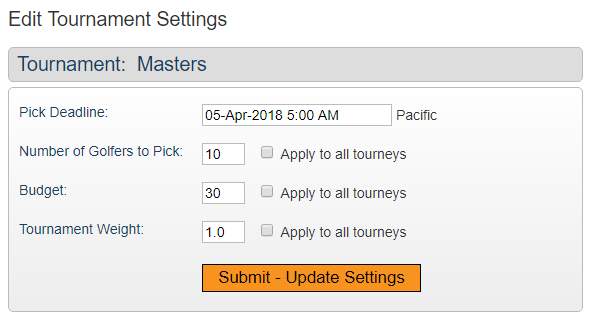 If you are including a lot of tournaments in your pool's schedule, you can assign a "weight" to special tournaments, making them worth more than the rest. 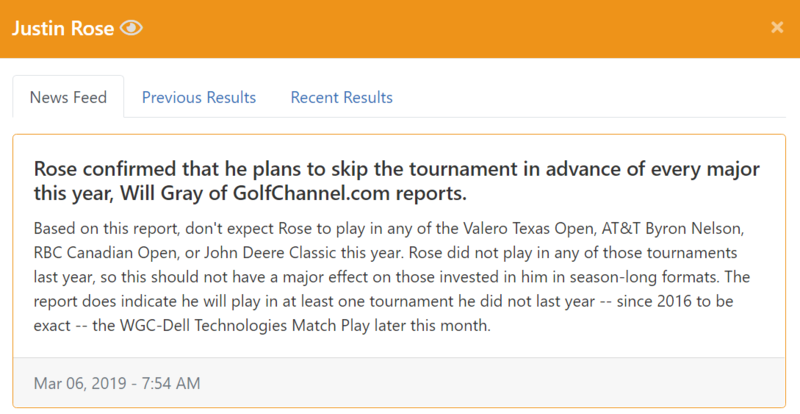 View stats and analysis on the entire field of golfers, including latest news, recent results, and tournament specific results. Inside The Field - Research which players to select each week using our unique tools.